The 7th International Evidence Based Library and Information Practice Conference will be held in Saskatoon, Saskatchewan, Canada, July 15 - 18, 2013, proudly hosted by the University Library, University of Saskatchewan. The University Library, University of Saskatchewan, is very proud to host the 7th International Evidence Based Library and Information Practice conference (EBLIP7). Using the best available evidence to inform decision making in practice situations is the hallmark of evidence based library and information practice (eblip). Librarians and information professionals from all library sectors can benefit from the critical, reflective practice that eblip offers. For a varied and wide-ranging look at this practical way of practicing librarianship, visit the open access journal, Evidence Based Library and Information Practice. For everyone from the seasoned EBLIP participant to the conference novice, and for attendees from all library sectors, EBLIP7 will provide a dynamic and engaging atmosphere focusing on evidence based practice and LIS research, with stimulating sessions, exciting networking opportunities, and provocative posters. Monday July 15 will be a day of continuing education opportunities. The conference proper runs from Tuesday July 16 to Thursday July 18. Delegates will enjoy a sumptuous opening reception on Tuesday and a delightfully different conference dinner on Wednesday. The City of Saskatoon is a hidden gem on the Canadian prairies. During EBLIP7, conference attendees will also be able to enjoy many events such as Shakespeare on the Saskatchewan, A Taste of Saskatchewan, and Pion-Era. Take a riverboat cruise down the scenic South Saskatchewan River, and enjoy a riverbank stroll or bike ride along the Meewasin Valley Trail system. Conference delegates bringing family members for a summer vacation will not have to worry that their family will have nothing to do. We're looking forward to seeing you in July 2013 for EBLIP7! We will be looking for volunteers to help make the 2013 EBLIP7 conference a success. We are looking for motivated, energetic individuals who want to get involved and help us make a difference in the field. Email eblip7@library.usask.ca to be contacted when volunteer opportunities arise. Thank you for your support! Funds have also been provided by the University of Saskatchewan Conference Fund Grant and the 6th International Evidence Based Library and Information Practice Conference (EBLIP6). EBLIP7 is supported by the Social Sciences and Humanities Research Council. There are several levels of sponsorship opportunities available for EBLIP7. If your organization would like to be involved with this dynamic international conference, please contact Virginia Wilson, virginia.wilson@usask.ca for further details. Throughout the conference, we have built in opportunities for networking, recognizing that connecting with colleagues is an important part of conference activities. All preconference workshops will be held in the Murray Library, University of Saskatchewan. The purpose of this course is to introduce the process of evidence based library and information practice to all LIS practitioners and to demonstrate tools and strategies for applying evidence in practice. The course will look beyond the formal evidence based practice (EBP) model and place LIS evidence within the context of real-world decision making. Participants will learn strategies to incorporate different types of evidence into their everyday decision making, and will have opportunities to work through their own practice questions in order to determine an approach that they can take back to their workplace. The Association of Research Libraries (ARL) and the Canadian Association of Research Libraries (CARL) have worked over the years to strengthen the ways libraries are describing and evaluating their services and operations. ARL and CARL have worked closely in a number of key areas including LibQUAL+, Library Assessment training activities, and good old regular annual statistics. This workshop will focus on describing a number of key efforts such as the annual ARL and CARL Statistics and LibQUAL+ and work with attendees to gain a deeper understanding of how these tools are used to justify budgets, evaluate service delivery and help libraries rethink the investments they are making to align them strategically with rapidly transforming user needs. The workshop presenters have extensive knowledge of both the annual statistical efforts and the LibQUAL+ protocol; LibQUAL+ Canada just completed the third national level implementation in 2012. Institutions engaged in these efforts are invited to attend the workshop and bring their experience with these datasets for an engaging discussion and demonstration of how to more effectively engage libraries in demonstrating the value they deliver to their users. All attendees interested in assessment are welcome to join and engage. Linda Bedwell is the LibQual+ Canada 2013 Coordinator. She is a User-Experience & Assessment Librarian at Dalhousie University as well as a Reference & Instruction Librarian. She has conducted student studies to discover needs and behaviors related to library services, space, and resources. Martha Kyrillidou is the Senior Director for Statistics and Service Quality Programs, Association of Research Libraries. Her dissertation (deposit December 2009) documenting the development of LibQUAL+ Lite is the most heavily downloaded dissertation at the University of Illinois Urbana-Champaign institutional repository. Katherine McColgan is the Program and Administrative Officer for the Canadian Association of Research Libraries (CARL). Katherine has been the coordinator of the Statistics Survey of Canadian University Libraries for almost 15 years, and the CARL liaison in support of the LibQual+ Canada consortia and its Coordinator since its inception in 2006. - are not sure how to go about it? - don’t know which methods to use? - can’t see how it is relevant to your practice? This half day workshop is designed to help practitioners get started in research or evaluation. Participants are encouraged to consider the similarities and differences between research and evaluation, the challenges, and the practical considerations that need to be addressed. They will be encouraged to consider the valuable contribution research projects can have even if they are small in scale. They will also be introduced to quantitative and qualitative approaches, find out when to use each and what may be feasible where. The session will provide a user friendly overview of the research and evaluation process to help participants to think about and plan potential projects, as well as provide opportunities to ask specific questions and gain feedback about their own research ideas. Instructor: Alison Brettle is a senior lecturer, information specialist, and PGR co-ordinator at the School of Nursing, Midwifery and Social Work, University of Salford, UK. She is also the editor-in-chief of the open access journal, Evidence Based Library and Information Practice. A critical question for libraries is how to move from an opinion-based web design process to one that is driven by evidence-based practice. Conducting and carrying out usability studies is something any library can do, large or small. The aim of this workshop is to learn how to conduct a usability study, analyze the results, and use the evidence to create a better web site. Join Darlene Fichter and Genevieve Braganza in a ½ day interactive workshop where you will learn the basic skills to develop and deliver a usability study. Instructors Genevieve Braganza, Assessment Analyst, and library usability expert/GovInfo Librarian Darlene Fichter teamed up to carry out library usability studies at the University of Saskatchewan. Darlene is a frequent conference speaker about usability and emerging technologies. Genevieve has a Masters of Public Health specializing in Biostatistics and is the University of Saskatchewan Library’s Assessment Analyst. This is a list of the concurrent sessions including speakers/authors and session titles. A complete PDF of the sessions including abstracts is now available for download. Can an EBLIP conceptual lens illuminate some of copyright’s complex conundrums? Investigating the scholarly communications needs of faculty at the University of Saskatchewan: Is there a role for the University Library? Does the VIVO Harvester Populate Bibliographic References for an Institutional Instance of VIVO Effectively? Can dynamic modeling enrich library practice decision making? Poster presenters have one minute each to convey the gist of their poster to all conference delegates. Once the minute is up, so is the talk! Creativity and fun are encouraged. The idea is to give the plenary audience a taste of what the poster is about, which can be elaborated during the coffee and poster viewing following Poster Madness. Poster presenters have one minute each to convey the gist of their poster to all conference delegates. Once the minute is up, so is the talk! Creativity and fun are encouraged. The idea is to give the plenary audience a taste of what the poster is about, which can be followed up during the coffee and poster viewing following Poster Madness. 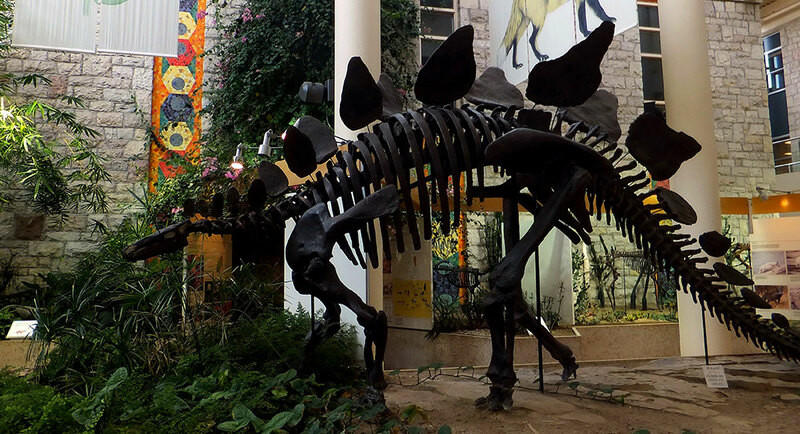 Join us for mixing and mingling in the Geology building with the dinosaurs. Get ready for some down home country cooking, and the atmosphere to go with it. 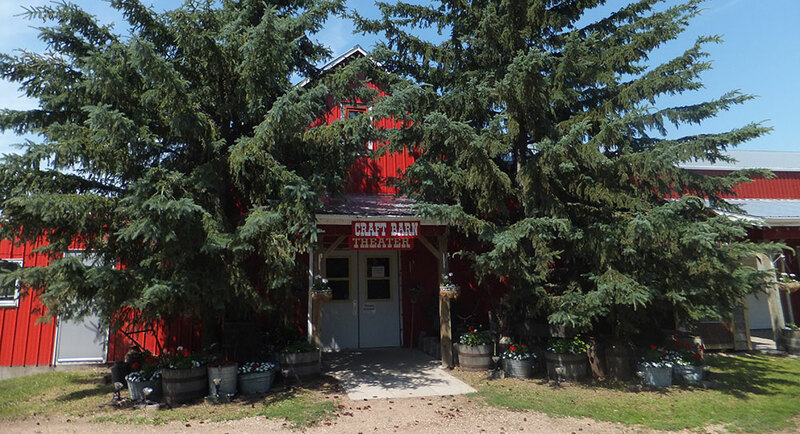 The Evidence Based Hootenanny will be held at The Barn Playhouse, a family-run venue out in the middle of the Canadian prairies. In addition to a hearty meal and natural surroundings, delegates will also be able to spend some time shopping for prairie crafts and souvenirs in the Craft Barn and be entertained by the Keepers of the Groove! If you're planning to drive to the Hootenanny and not take the provided bus, here's a map and instructions to get you there! Map and Insructions to the Barn Playhouse. Come out for a Pint! Relax and chat with colleagues over a pint on Monday, July 15th. Starting at 7 pm, we will be hosting an informal beer night at Winston's English Pub & Grill, home to one of the best draft selections you’ll find in Saskatoon! Winston’s also offers a full menu for those coming out for supper. No registration is required for this come and go event. The word "evidence" means different things to different people. At this conference that focuses on evidence based practice, do we have a common understanding of what evidence means to librarians and information professionals? Let's begin the discussion! 3) How librarians actually use evidence to make decisions. Based on new research that examines the core of the EBLIP model, Denise will shed light on how the evidence based practice movement, originating in medicine, differs within librarianship. She will outline practical ways that librarians can improve their practice based on this new knowledge. Denise Koufogiannakis is the Collections and Acquisitions Coordinator at the University of Alberta Libraries. As well, she is a researcher, editor, speaker, and mentor. Denise has embraced evidence based library and information practice (EBLIP) since the very early days of its inception. Publishing and speaking on EBLIP since 2001 and contributing to the LIS evidence base through papers and book chapters, Denise is a key driver in the international EBLIP movement. She also co-hosted the 2nd international conference when it was last held in Canada 10 years ago. She has received numerous awards including the Canadian Library Association’s Robert H Blackburn Distinguished Paper Award not once but twice, the Council of Prairie and Pacific University Libraries (COPPUL) 2009 Outstanding Contribution Award, and in 2007 was named a Library Journal "Mover and Shaker" for her contribution to the evidence based librarianship movement. Denise co-founded the open access journal Evidence Based Library and Information Practice and has held several editorial positions since the journal’s inception in 2006, including Editor-in-Chief. But she is most proud of creating the journal’s evidence summaries, which provide a brief synopsis and critical appraisal of recent research articles for practitioners. Denise has contributed to several national organizations including the Canadian Library Association, COPPUL, and the Canadian Research Knowledge Network. Ever curious and wanting to learn more, Denise has just completed her PhD at Aberystwyth University in Wales. She is passionate about research, open access to information, and the betterment of the community through library services. Why is evidence-based medicine a movement that is drawing interest from many other fields and spawning similar 'evidence-based ...' reforms? Shouldn't all medicine be evidence-based? Shouldn't all our work? Why is it necessary to direct attention to evidence? The answer lies in human nature, Dan Gardner explains. Efforts to promote evidence-based thinking are essential because people don't do evidence-based thinking naturally -- and what we do naturally gets us in a lot of trouble. Dan Gardner is a journalist, author, and lecturer who enjoys nothing so much as writing about himself in the third person. 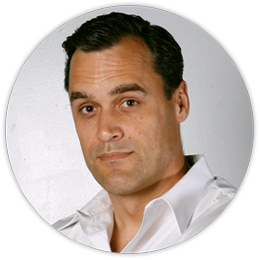 Trained in law (LL.B., Osgoode Hall Law School, Class of '92) and history (M.A., York University, '95), Dan first worked as a political staffer to a prominent politician. In 1997, he joined the editorial board of the Ottawa Citizen. His writing has won or been nominated for most major prizes in Canadian journalism, including the National Newspaper Award, the Michener Award, the Canadian Association of Journalists award, the Amnesty International Canada Media Award for reporting on human rights, and a long list of other awards, particularly in the field of criminal justice and law. Today, he is an opinion columnist who refuses to be pigeonholed as a liberal or a conservative and is positively allergic to all varieties of dogma. If you must label him -- and he'd rather you didn't -- please call him a "skeptic." In 2005, Dan attended a lecture by renowned psychologist Paul Slovic. It was a life-changing encounter. Fascinated by Slovic's work, Dan immersed himself in the scientific literature. The result was a seminal book on risk perception, Risk: The Science and Politics of Fear. Published in 11 countries and 7 languages, Risk was a bestseller in the United Kingdom and Canada. But more gratifying to Dan was the support of leading researchers, including Slovic, who praised the book's scientific accuracy. In his latest book, Future Babble, Dan delved deeper into psychology to explain why people continue to put so much stock in expert predictions despite the repeated -- and sometimes catastrophic -- failure of efforts to forecast the future. Again, Dan was delighted that his book garnered the praise of leading researchers, including Philip Tetlock of the University of California, who called it "superb scholarship," and Steven Pinker of Harvard University, who said it should be "required reading for journalists, politicians, academics, and those who listen to them." Psychology is fundamentally about how people perceive, think, decide, and communicate -- and modern research shows that much of what people assume to be true about these basic processes is, in fact, wrong. The success of Risk led Dan to develop a series of lectures that expose and correct those assumptions, helping people think, decide, organize, and communicate better. Dan is also Panelist on CTV's Question Period. He lives in Ottawa, Canada, with three young children and one exhausted wife. Janet Bangma is Head, Library Systems and Information Technology (LS&IT) and from 2000 – 2008 was Head, Health Sciences Library both at the University of Saskatchewan. Janet’s research interests are diverse and continue to morph, reflecting the fact that evidence based practice is such a dynamic field there is something to learn all the time offering many avenues for discovery. During a recent sabbatical leave, Janet focused on one aspect of using evidence for decision making and that is looking at dynamic modeling both in a healthcare application, to complete requirements of an advanced degree, and more generally within librarianship. Tanja Beck holds a M.Ed. from the University of Cologne in Germany. I am working as an Access Services Adviser at the Office for Students with Disabilities McGill University since 2012. In her current position, her work and research portfolio includes the management of peer support groups, increasing university access with an emphasis on library access for emerging clienteles (students with invisible disabilities, especially ADHD), Universal Design and facilitating inclusive work opportunities for emerging clienteles. Selinda Berg is currently a Librarian at the University of Windsor. Concurrently, she is completing a PhD. in the Faculty of Information and Media Studies at The University of Western Ontario. Selinda has developed multiple initiatives to help librarians, like herself, take a lead role in developing a unique research culture that complements the environment and needs of practicing librarians. Her own research explores the development of professional identity of librarians and health professionals, as well as the development of research cultures in Canadian University Libraries. Jean Blackburn is the User Experience Coordinator at Vancouver Island University. Jean enjoys exploring opportunities presented by technological and social change for improving user-centred library services. She can be reached at jean.blackburn@viu.ca. Katherine Boss is an Assistant Professor and Reference and Instruction Librarian at Long Island University in Brooklyn, where her teaching philosophy is firmly rooted in a mission to provide engaging, student-centered classrooms. She earned a Master of Science in Library and Information Science at Long Island University, and is currently pursuing a Master of Arts in Media Studies at the New School in New York City. Her research areas focus on curriculum integrated instruction and information literacy outcomes assessment. 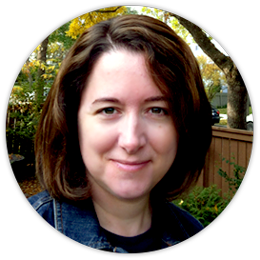 Cara Bradley is the Teaching & Learning Librarian at the University of Regina. She has BA and MA degrees in English literature from the University of Regina, and her MLIS from the University of Alberta. Prior to joining the University of Regina in 2005, she worked in special and public libraries. Her professional interests include plagiarism prevention education, information literacy, and evidence-based librarianship. She has published numerous articles, presented widely, and wrote the book Plagiarism Education and Prevention: A Subject-Driven Case-Based Approach, which was published by Chandos in 2011. Margaret Brown-Sica is the Associate Director for Technology and Digital Initiatives at the Auraria Library which serves the University of Colorado Denver, the Metropolitan State University of Denver and the Community College of Denver. Her research interests are Participatory Action Research, Library Technology, Strategic Planning, and Access to Information/Open Access. Jane Burpee is a Research Enterprise & Scholarly Communications Librarian at the University of Guelph, Ontario, Canada. In her current position she supports the work of researchers throughout the research cycle. Jane is team lead for ETDs; OA support and the Campus Author Recognition Program. Additionally, she supports researchers in the areas of biological, veterinary, physical and engineering sciences, and family relations and applied nutrition. Prior to this position, she was the Manager of Reference and Information Literacy at the University of Guelph after coming positions in government and public library sectors. In 2006, she received the University of Guelph Presidential Distinguished Librarian Award. Her research interests include scholarly communication, open access, altmetrics and community engagement. Associate professor Michele Christian,is the collections archivist and university records analyst for the Special Collections Department of the Iowa State University Library. Before working at Iowa State, she was the labor archivist at the State Historical Society of Iowa. She has written articles on various topics, including managing artifacts in archives and using oral histories in collection developments. She received her MA in history and MLIS from the University of Wisconsin at Milwaukee. Jamie Conklin is the Science & Health Sciences Librarian at the Lovejoy Library at Southern Illinois University Edwardsville. She serves as subject liaison to biological sciences, chemistry, dental medicine, environmental sciences, mathematics and statistics, and physics. Her current interests and projects include mobile technology, texting as a reference tool, and using evidence to inform information literacy instruction. Jill Crawley-Low is a librarian at the University Library, University of Saskatchewan returning to the collegium after a 5-year term as Assistant Dean (Services to Libraries) and a year-long administrative leave. Jill is redefining her research in the area of leadership development in academic libraries following experience as science reference librarian, STM collections librarian, branch head of the Veterinary Medicine Library at the U of S, and administrator responsible for collections and technical services. Nicole Dalmer is a recent graduate from the University of Alberta’s School of Library and Information Studies and is now a Public Services Librarian in the Academic Library Internship Program at the University of Alberta’s H.T. Coutts (Education & Physical Education) Library. Her research interests and past studies have focused on information seeking and sharing behaviours of specific lay information mediary subgroups: older adults and their caregivers. Diane (DeDe) Dawson is the Natural Sciences Liaison Librarian at the University Library, University of Saskatchewan in Canada. In addition to her Master of Library and Information Science degree, she also holds a Bachelor of Science in Biology and a Master of Science in Earth Sciences. Driven by her education and research background in the sciences, she has a strong interest in the ways scientists communicate the results of their research and how libraries can support this. DeDe’s research focuses on the many issues involved in scholarly communications in the sciences including open access and open science. Pat Dawson, Associate Professor-Librarian, is the Moore Library Science Librarian with liaison responsibilities to the Sciences, Mathematics, and Psychology Departments at Rider University. She has a B.A. in Biology, a M.S. in Microbiology, and a M.L.S. from the School of Communication, Information and Library Studies at Rutgers University. Her research interests include teaching strategies, research and evidence-based librarianship, plus investigating entrepreneurial libraries. Kathleen De Long is Associate University Librarian (Human Resources and Teaching/Learning), University of Alberta Libraries. As well as her MLIS, Kathleen has a Masters in Public Management from the University of Alberta, and just recently completed her doctorate in Managerial Leadership in the Information Professions at Simmons College. Her current research focuses upon investigating leadership within the library profession. Liz Dennett received her MLIS in 2003 from the University of Alberta and is currently employed in a joint position with the Institute of Health Economics (IHE) and the John W. Scott Health Sciences Library at the University of Alberta in Edmonton AB, Canada. At IHE, she is responsible for conducting comprehensive literature searches to locate evidence for systematic reviews and health technology assessments. At the UofA, Liz works as a public services librarian who liaises with the departments of Clinical Nutrition and Otorhinolaryngology. She is a co-creator of the Online Database of Health Statistics and is actively engaged in research on methodological filters, searching for rapid health technology assessments, and on research-embedded health librarianship. Gail K. Dickinson is Associate Professor of school librarianship in the Darden College of Education at Old Dominion University in Norfolk, Virginia. Gail holds an MLIS from UNC-Chapel Hill and a PhD in Education with a focus on educational administration from the University of Virginia. She teaches courses in school library administration, school library curriculum and instruction, and collection development to pre-service school librarians. Her research interests are in school library preparation and continuing education, distance learning, and issues of access and equity. Jonathan Eldredge, MLS, PhD, is an Associate Professor at the University of New Mexico. His primary appointment is in the Health Sciences Library and Informatics Center with a secondary appointment in the Department of Family & Community Medicine. His administrative title is Evidence Based & Translational Sciences Collaboration Coordinator. For years Jon has enjoyed the challenges of tackling increasingly complex projects. He has an active research program with over 40 articles published in peer reviewed journals. Methodologically, he has a special interest in experimental designs. His most recent article involving a Delphi study that defines the Medical Library Association’s research agenda has attracted wide attention. Jon co-directs the three-year longitudinal Evidence Based Practice course for all medical students, co-teaches the Biomedical Informatics course in the CTSC MSCR Program, and co-teaches the MPH Principles of Public Health course. Leila is the subject librarian for chemistry, physics and astronomy. Her responsibilities include collection development, reference and departmental liaison. Her research interests include librarian roles in promoting scholarly communication, open access initiatives in developing countries, and new models in scholarly publishing. Rumi Graham is currently University Copyright Advisor, University of Lethbridge, and graduate studies librarian. Her other experience at the University of Lethbridge includes education and health sciences librarian, technical services manager, database manager of the Library’s integrated library system, manager of library services to AADAC, and acting associate university librarian. Rumi completed her PhD focused on undergraduate subject searching and information literacy at the University of Toronto. Maria Grant is a Research Fellow (Information) within the School of Nursing, Midwifery and Social Work, University of Salford, UK. Maria has an academic background in information science and is a qualified Librarian with over 25 years experience working in health information. Maria published a typology of reviews and associated methodologies and has contributed to the searching, appraisal and synthesis of evidence into literature and systematic reviews on a wide range of topics, most recently around factors influencing self care, the support needs of carers for people with chronic obstructive pulmonary disease, and an investigation of the factors that affect public engagement with eHealth services in the management of their health. Maria is Editor-in-Chief of the ISI listed Health Information and Libraries Journal and has a particular interest in the role of published information; both its production and its application into practice. In 2006 she was instrumental in the establishment of a cross-university writers group to facilitate life long learning around writing theory and practice. The group resulted in a measurable increase in the quantitative, qualitative and diversity of the output of group members and, in 2011 Maria established and is leading a similar group at a local level. Eugene Harvey is the Assessment Librarian at Buffalo State, State University of New York. Eugene incorporates knowledge of quantitative and qualitative research methods into the everyday workings and projects at E. H. Butler Library, including statistical benchmarking, internal assessment activities, and strategic planning and evaluation. Eugene also provides service as a Reference Librarian, including teaching for-credit courses and course-related information literacy sessions. Eugene's research and scholarly interests include library assessment & evaluation, social science research design, statistics, information literacy outcomes, and institutional collaboration. Lisa Janicke Hinchliffe is Professor, University Library, and Coordinator for Information Literacy Services and Instruction at the University of Illinois at Urbana-Champaign. The Association of College and Research Libraries launched the Value of Academic Libraries Initiative during her presidency. She has presented widely on the value of academic libraries and library assessment, evaluation, and innovation. With Debra Gilchrist, Lisa was lead designer for ACRL's training program for the Standards for Libraries in Higher Education. A recent publication is the 2012 co-edited book Environments for Students Growth and Development: Libraries and Student Affairs in Collaboration. Ma Lei Hsieh is an instruction, reference, and government documents librarian at Rider University in New Jersey. She has a M.A. in Communication and M.L.S. from Indiana University at Bloomington. Her research interests include instruction methods, assessment of student learning outcomes of information literacy, and emerging technologies in libraries. Victoria Itsekor works as a Librarian with Centre for Learning Resources, (Library) Covenant University, Canaan Land, Ota, Nigeria. She succeeded in procuring book gifts for twelve schools from National Library of Nigeria, Lagos State in 2004, through Libraries & Scholars an organization she founded. Also in 2010, she was privileged to be amongst six librarians from all over the world to be selected to participate in a new initiative of the International Federation of Library and Information Association (ILFA), an IFLA, Library Theory and Research Section for New Professionals. She has also just concluded a Master’s degree program in Library, Archival and Information Studies, at University of Ibadan. Eric Jennings is an Instruction & Outreach Librarian at the University of Wisconsin-Eau Claire's McIntyre Library. Prior to coming to UW-Eau Claire, he was a librarian at Charleston Southern University. Eric edits an opinion column in College and Undergraduate Libraries. His research interests include marketing and outreach activities in academic libraries and library instruction. He is a graduate of the University of Iowa. Carl Gustav Johannsen is Associate Professor at The Royal School of Library and Information Science. He has previously been Head of the Research School of Cultural Heritage from 2004-2011. He has a ph.d. within Quality Management from the Business School of Aarhus. He has published several books and research reports on evidence based professional practice, public library issues, special librarianship, competitive intelligence, organisational theories and leadership, quality management and educational questions concerning the profession. He has published more than 125 papers and articles in academic and professional journals. Carl is member of editorial boards of academic journals. He also has a comprehensive international experience. He has lectured in many different countries and participated in many library development projects in, for example, the Nordic countries, the Baltic States, Hungary, Egypt and South Africa. He has been head of KAF (Research School of Cultural Heritage) and member of government research councils. He has also had chairman’s and other key positions in several Danish library associations concerned with public, research and special libraries. Pascal Lupien is a Research Enterprise & Scholarly Communications Librarian at the University of Guelph, Ontario. In 2006, he received the University of Guelph Presidential Distinguished Librarian Award. He was a member of the steering committee of AskON, Ontario’s province-wide virtual reference service. He has worked as User Services librarian at the University of New Brunswick, and has served as Vice-President of the Association of Professional Librarians of New Brunswick and President of the Association des bibliothèques de l'Ontario-Franco. He is currently a PhD candidate in Political Science, University of Guelph. Lupien’s research interests include virtual library services, developing services for traditionally underrepresented people, and freedom of information. Currently holding the post of Dean of Learning Services at Edge Hill University, Alison Mackenzie is responsible for a range of complementary academic services and staff who provide support and expertise for academic staff, students and researchers. Prior to taking up this post, Alison held the post of University Librarian at Bangor University, a variety of roles at Manchester Metropolitan University and in her early career worked in art colleges and commercial practice. Alison has been active in SCONUL for a number of years, as a member and Chair of the Working Group on Information Literacy and as a contributor to the e-learning task and finish group. She is currently chair of the Strategy Group on Performance and Quality. Joanne Gard Marshall is an Alumni Distinguished Professor at the School of Information & Library Science at the University of North Carolina at Chapel Hill where she served as Dean from 1999 to 2004. In addition to her Ph.D. in Public Health, Joanne holds at Master of Health Science Degree from McMaster University and a Master of Library Science degree from McGill University. In 2005 she received an honorary doctorate from McGill in recognition of her contribution to improving research and practice in health library and information services. During 2004-2005 Joanne served as president of the Medical Library Association (MLA). She has received a number of honors from MLA including a doctoral fellowship and the Eliot Prize for the most significant research in medical librarianship for 1982 and 1992, the Donald Lindberg Research Fellowship in 2010 and the Janet Doe Lectureship in 2013. Joanne received the Award of Outstanding Achievement from the Canadian Health Libraries Association in 1992 as well as several awards from the Special Libraries Association including the H.W. Wilson Award in 1997, the John Cotton Dana Award in 1998 and the Factiva National Leadership Award in 2004. Cathy Maskell is currently Associate Dean of the Library at the University of Windsor. She has a PhD in Library and Information Science from the University of Western Ontario, an MLIS from Western and undergraduate science degrees from McMaster University. One of Cathy's key responsibilities at Leddy is working with librarians to develop their research profiles. She is also Chair of the library's committee to evaluate and revise criteria for librarians' renewal, promotion and permanence. Andrea Miller-Nesbitt has been working in McGill University Library since 2010 and is currently the liaison librarian for the biological sciences. She has been interested in Universal Design and accessibility in libraries for several years, and in 2012 she became the liaison librarian for McGill’s Office for Students with Disabilities. She is an active member of the Special Libraries Association Biomedical and Life Sciences Division. Elizabeth Moreton is the Health Sciences Librarian and liaison to the Schools of Nursing and Pharmacy at Southern Illinois University Edwardsville. Her research interests include information literacy, assessment, evidence-based practice, and reference services, among others. She holds an MLS from Indiana University. Sharon Murphy is the Head of Academic Services at Queen’s University Library. Her current position melds research and teaching initiatives through the mutual support of research data curation, scholarly communications, teaching and learning, and learning commons’ partnerships. Prior to this she was Head of the Engineering & Science Library at Queen's University after coming from Dalhousie University's Sexton Design and Technology Library where she was Head of Reference and Research. Diana Ng, BSc (Hons), MLIS, is the Learning Services Librarian for the Southern Medical Program and Biology Liaison at the University of British Columbia, where she provides instruction and support to faculty and students. She is also a problem-based learning tutor in the UBC medical curriculum. Diana has worked extensively in public, hospital and academic libraries. She is currently the convener for the CHLA Mentorship Interest Group and field recruiter for the ALA Discovering Librarianship project. Her research interests include effective online pedagogy, and the use of educational technology in academic libraries and medical education to enhance teaching and learning. Assistant professor Passonneau is the assessment librarian and the assistant to the dean at Iowa State University of the Library She oversees the library assessment program She collaborated with Michele Christian, the record analyst for Iowa State University Library’s Special Collections, to assess the outreach program with the university’s student and alumni Greek community. Assistant Professor Passonneau research areas include aligning qualitative and quantitative library data to institutional benchmarks and national assessments, developing survey measures with open source tools, and using electronic usage data for institutional planning. Kathleen Reed is Assessment & Data Librarian at Vancouver Island University. She can be reached at kathleen.reed@viu.ca or on Twitter @kathleenreed. Wendy Rodgers is a Humanities Research Liaison Librarian at Memorial University of Newfoundland, where she has worked since 2006. Previously, she was a Liaison Librarian and Web Content Coordinator at the University of Guelph Library. She has served the profession through the Newfoundland and Labrador Library Association, the Ontario College and University Library Association, and the Canadian Association of College and University Libraries. Her favourite place to spend time is a theatre, and she has appeared in 15 stage productions in the last 10 years. Her newest role is as Mom to her daughter Raya, born in October 2012. Lorna E. Rourke is the Director, St. Jerome's University Library in Waterloo, Ontario. She was previously an Academic Liaison & Reference Librarian at the University of Guelph. She has taught in the Master of Library & Information Science program at the Faculty of Information & Media Studies, University of Western Ontario. She is a past president of the Ontario College & University Library Association, and the 2009 recipient of the Ontario College & University Library Association’s Lifetime Achievement Award. Ms. Rourke’s research interests include virtual library services, librarian activism, and information literacy. Carol Shepstone has been University Librarian with Mount Royal University in Calgary Alberta for the past five years. She holds a MLIS from University of British Columbia and has worked in academic, public, and special libraries as well as archives and museums in western Canada. Her current research interests include library value assessment, organizational culture, intellectual property, and library co-operation and collaboration. She is an active board member on a number of library consortia and has a keen interest in association and organizational governance. Rick Stoddart is the new Assessment librarian at Oregon State University Libraries & Press. He is interested in uncovering evidence and documenting library impact on student learning, especially from under-explored areas such as library computer systems, institutional repositories, and special collections. Rick received Masters degrees in Library Science and Communication Studies from the University of Alabama. He is currently working on an EdD exploring the intersection of libraries and learning. Soleil Surette has recently become the Manager of Assessment and Research at the Edmonton Public Library (EPL) where she oversees the implementation of EBLIP. Prior to this position she was the Research Librarian at the CARE Program for Integrative Health & Healing at the University of Alberta, where she was immersed in evidence-based practice and had the opportunity to co-author several research papers. She obtained her MLIS from the University of Alberta in 2007. Bryan S. Vogh is the Head of Library Systems at the University of Wisconsin-Eau Claire's McIntyre Library. Prior to coming to UW-Eau Claire, he worked for the National Network of Libraries of Medicine. Bryan's research interests include workflows, process mapping and library services platforms. He is a graduate of the University of Wisconsin-Madison. Laura Winton is the Assessment and Research Librarian at the Edmonton Public Library where she implements the principles of EBLIP in a public library setting and has way too much fun with statistics and data visualization programs. Before joining the Edmonton Public Library, Laura worked as a researcher in the Department of Public Health at the University of Alberta. She earned her MLIS from the University of Alberta in 2012 where she completed a thesis investigating the changing reading habits of young adults in relation to crossmedia storytelling. Chung-Yen Yu is a Ph.D. candidate from Graduate Institute of Library and Information Studies at National Taiwan Normal University. He is also a librarian in the National Yang-Ming University. His research interests lie in the area of log analysis, bibliomining and bibliometrics, with a focus on understanding user's behavior in the electronic journal usage . In his prior work, he focused on parse log files by Ruby language to get resolve rules. The University of Saskatchewan, established in 1907, is a beautiful and lively campus located in the heart of Saskatoon. Some popular campus destinations include the Bowl, the College Building, and many other Collegiate Gothic buildings. Do you want to explore the campus further? Book a tour or try a self-guided walking tour. An online campus maps is available at http://www.usask.ca/maps/. The University of Saskatchewan Archives has several virtual exhibits, including Building the University of Saskatchewan and Deo et Patriae: Events in the History of the University of Saskatchewan. If you are staying at the Sheraton Hotel and want to walk to campus, you can find a map by clicking here: Map from the Sheraton to the U of S campus. The John G. Diefenbaker International Airport: There is non-stop service to Toronto, Ottawa, Winnipeg, Calgary, Edmonton, Vancouver, Minneapolis, Denver, and Chicago. There is one-stop, connecting service to most major Canadian, US, and international destinations through airline HUBS in Minneapolis/St.Paul, Toronto, Calgary, Vancouver, Denver, Chicago & Las Vegas. The airport is a 15-20 minute taxi ride from downtown Saskatoon and the University of Saskatchewan campus. (Taxi, parking, and car rental information) Taxis are plentiful outside of the airport when flights arrive. The cost of a taxi ride to the University is approximately $23 CAD. Pre-arranged limo service is also an option, and many Saskatoon hotels run shuttle bus service to and from the airport. Several car rental agencies operate out of the airport. Saskatoon Transit, the city bus services, also serves the airport, with routes 23 and 40. The City of Saskatoon operates a public transit bus system. If you plan to take the bus while in Saskatoon, please visit Saskatoon Transit’s website. The site features information about fares, bus schedules, and a Click & Go Trip Planner that allows you to enter your start and end destinations to generate possible itineraries. The following bus routes travel through the University’s Place Riel bus terminal: 1, 3, 4, 5, 6, 13, 16, 17, 21, 28, 50/60, 70/80, and 90. The electronic fare collection system does not accept paper money. As you enter the bus, deposit your coins in the fare box (make sure you have exact change - Bus drivers do not carry change and paper money is not accepted). If you do not wish to pay by cash, Transit go-card passes can be purchased at Place Riel on the U of S campus. Please ask the bus operator for a transfer slip if you need to make a connection along your trip. Once your initial fare is registered in the fare box, the operator will print out a transfer with a bar code on it. This transfer slip can be used as proof of payment on any bus within 90 minutes. Transfer slips may also be used for return trips. Scan your transfer bar code on the fare box reader when you board your next bus. Several car rental companies are located at the airport in the parking lot just across from the terminal building. Canada uses the metric system so distances - on road signs and speed limits - are measured in kilometers, and gasoline is sold by the litre. If you plan to travel within the province, you might want to check out Sask Tourism’s distance chart to see how far away different communities are from Saskatoon. http://www.sasktourism.com/travel-information/travel-guides-and-maps/printable-maps. You can also buy highway maps at most gas stations, some pharmacies, and book stores. The Sheraton Cavalier Saskatoon Hotel is ideally situated overlooking the stunning South Saskatchewan River, while offering the perfect downtown Saskatoon location. Take a stroll along the Meewasin River Valley trail, explore the many boutique shops or enjoy the unique dining experiences the city centre has to offer. Coming soon: an online hotel booking form especially for EBLIP7! 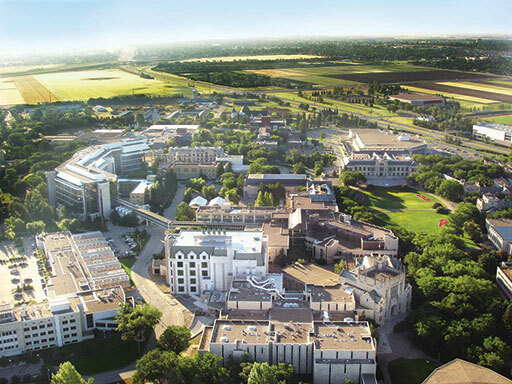 Experience the beautiful University of Saskatchewan campus with a stay in our historic Voyager Place Residences. Built between 1912 and 1965, these four buildings are a stunning example of the gothic-style architecture that the U of S campus is famous for. Dormitory rooms consist of: Single Bed (2 single beds in a double room), dresser, desk, desk light, closet, window. Linen (sheets, blanket, pillow and, towels) and soap are provided. The single and double rooms are grouped around shared washroom facilities that are located in the hallways. Our Facilities page includes photos of the dormitory rooms. Lounges, laundry rooms, recreation facilities, pay telephones, kitchenettes, and other amenities are all available to our guests. Minimum stay is two nights. All reservations must be made three days in advance. Online link for booking on-campus accommodations: http://www.usask.ca/hospitality/summer_accommodations/index.php Click on the Online Reservations link. In step one, choose EBLIP7 from the dropdown menu. Follow the registration steps. You can then print your own confirmation/receipt. There are a number of hotels in the downtown core of Saskatoon. For information about additional accommodations in Saskatoon, see Tourism Saskatoon. The Gordon Howe Campground features 135 serviced sites that can accommodate motorhomes, trailers, folding campers, fifth wheels, truck campers or big rigs. Each Campsite has its own barbecue and picnic table. Other amenities include laundry facilities, free showers, a confectionary, vending machines, and firewood. The campground manager is available on-site 24 hours a day. Map of campground relative to city. Some interesting facts about Saskatoon …. As the Province of Saskatchewan's largest city, Saskatoon has a population of approximately 260,600. The name "Saskatoon" is derived from “mis-sask-quah-toomina,” a Cree name referring to the sweet and violet-coloured indigenous berry that grows in the area. The Saskatoon area has been inhabited for some 6,000 years; however, it was not until the summer of 1883 that the first settlers began to arrive. In 1903, the town charter was obtained. And on May 26, 1906, Saskatoon was incorporated as a city. Saskatoon is one of the sunniest cities in Canada, and records an average of 2381 hours of sunlight annually. For information on things to do and places to go, please visit the Tourism saskatoon web site (http://www.tourismsaskatoon.com/). Summer is a great time to visit Saskatchewan. Looking for something to do while you’re here? Here are a few examples of the fun that is available to be had. For more ideas on what you can see and do during your visit, see Tourism Saskatoon and Tourism Saskatchewan. The Mendel Art Gallery is a public gallery that features contemporary and historical art exhibits. Admission is free, but donations are appreciated. Sundays feature free exhibition tours at 1 pm, and "Something on Sundays", free art-making activities for families that are led by gallery artists from 2:00 pm to 4:00 pm (supplies are included). Shakespeare on the Saskatchewan has been a summer time event in Saskatoon for almost 30 years. Every year the company features, on its main stage, contemporary and traditional productions of two plays by Shakespeare and his contemporaries. Additional activities include Medieval Feasts, Sunday tea, workshops, tours, art displays, special matinees and the Community Stage - Saskatoon’s only summer-long free performance venue for emerging local artists, community groups and individuals. The university is home to several museums and art galleries that are open to the public at no charge. The University also has an astronomical observatory that is open to the public between 10:00 pm and 11:30 pm in July. The University of Saskatchewan Fit Centre offers a variety of exercise equipment, a 40 foot climbing wall, a four lane track for walking or jogging, and a junior olympic dimension pool. Daily drop in passes and family swim passes are available. The Meewasin Trail runs along the South Saskatchewan River, and is popular with locals for walking, running, and biking. Over 60 km of trail is maintained by the Meewasin Valley Authority, a conservation organization dedicated to conserving the natural and cultural heritage resources of the South Saskatchewan River Valley. Location: Saskatoon – 510 25th St. East. Fitness on 25th is a co-ed fitness facility that includes fitness equipment, fitness classes, and a pool. According to the website, the YMCA has the warmest pool in the city! Drop-in rates are available. Crickle Creek is a 30 minute drive from the University, south on Valley Road. With miniature golf, an 18-hole Par 3 golf course, and inflatable bouncers, they call Crickle Creek a Fun Zone for a reason! Crickle Creek is open daily, weather permitting. Fuddruckers Fun Centre has something for everyone, including arcade/amusement games at Ruckers; 18 hole mini-golf at Putt n' Bounce; the Grand Slam batting cages; and the Rock, a 24 foot climbing wall. Location: Saskatoon – Spadina Crescent near the University bridge. Kinsmen Park, located near the University Bridge on the West side of the river, caters to the young and the young at heart. In addition to open space for games and picnicking, the park features a play village paddling pool. Zoo exhibits are primarily focused on wildlife that is native to Saskatchewan, but there is the odd exotic animal brought in on a temporary basis. The park features a butterfly house, garden spaces, a playground, Saskatoon's only Cricket pitch, and a fishing pond. Individuals taking advantage of the fishing pond must supply their own fishing equipment, and daily fishing permits must be purchased from the front gate. Catch and release is encouraged and there is a two fish per-person, per-day limit. The University of Saskatchewan offers week-long day camps throughout the summer. Interest areas include sports, drama, science, art, agriculture, history, ecology and music. See the kids’ camp website for details. The Western Development Museum features Saskatchewan’s collective heritage at four sites spread across the province. Each site features various temporary exhibits, while their permanent exhibits all have a slightly different focus. Saskatoon features 1910 Boomtown, a representation of a typical Saskatchewan town during that time period. Moose Jaw features the history of transportation on the prairies, as well as the Snowbirds Gallery where you can learn about Canada's premier aerobatic team, the 431 Squadron Snowbirds. In North Battleford you can learn about farm and village life in the early 1900’s at the Heritage Farm & Village. Yorkton features “the Story of People”, telling the stories of immigrants from more than fifty cultural backgrounds who left their homes to settle in Western Canada. With a combination of outdoor exhibits and 25,000 square metres (270,000 square feet) of enclosed space, the WDM maintains more exhibit area than any other public museum in Canada! Wanuskewin Heritage Park is home to 360 acres of scenic trails, interpretive sites, and archaeological digs at sites that are 5000 to 6000 years old. You can learn about First Nations peoples history by participating in a variety of programs (including children's programming), watch traditional dance presentations, or simple enjoy the prairie landscape as you walk along the trails. The RCMP Heritage Centre tells the 140 year history of the Royal Canadian Mounted Police – an iconic Canadian institution. The museum is located at the RCMP training academy, Depot Division, and features a variety of exhibits, programming, and tours. The Heritage Centre building was designed by world-renowned architect Arthur Erickson. The Tunnels of Moose Jaw isn’t your average museum! Two walking tours give you a dramatic glimpse of Moose Jaw’s “underground” past. Passage to Fortune tells the story of Canada’s early Chinese immigrants, while The Chicago Connection reveals Moose Jaw's involvement in bootlegging during the United States' prohibition era. The Calgary Stampede is more than just a rodeo, it’s “The Greatest Outdoor Show on Earth”. With concerts, a midway, rodeo competitions and more, there’s something for every member of the family. 2013 marks the 101st year of the Stampede. If your travels take you through Calgary, why not be part of the tradition? Tickets for 2013 go on sale Monday, October 1, 2012. There’s nothing quite like traveling through the Rocky Mountains aboard Via Rail’s The Canadian. The Park car features a 360-degree view in the panoramic section on the upper observation deck, perfect for taking in the view. Passengers may board the train in Vancouver and disembark in Saskatoon, or vice versa. If you find yourself in Saskatoon prior to the conference you might want to check out Hort Week, an annual gardening and horticulture workshop series held on the University of Saskatchewan campus.Topics vary from year to year but are often centred around gardening, insects, landscaping and more. If you're the outdoorsy type and are thinking of extending your stay, you might consider camping. Saskatchewan is home to 34 provincial parks, 2 national parks, and 100 regional parks. Golfing is big in Saskatchewan – maybe it has something to do with all that space! There are seven golf courses in the Saskatoon area, so whether you’re looking for a quick 9 holes at one of the city-run courses or you want to go for a 27 hole Scottish Links style championship golf course, there’s a course here for you. Saskatoon Bicycle Rentals rents adult and children's bicycles for periods of time ranging from one hour to five days. The Temple Garden's Mineral Spa Resort has Canada’s largest therapeutic Geo-Thermal Mineral Water indoor/outdoor rooftop pool. Available spa treatments include body wraps and scrubs, facials, manicures, pedicures, massage and reflexology. Booking your treatment well in advance is recommended. Access to the mineral spa is complementary for hotel guests, while day visitors can purchase admission to the pool. The hotel is located in the heart of downtown Moose Jaw, within walking distance of The Tunnels of Moose Jaw (see Museums and History), restaurants, and shops. Location: Spadina Crescent to 1st Avenue. The Downtown area features independent shops and boutiques, Galaxy Cinema, and the city’s largest shopping mall, Midtown Plaza. There is no shortage of shoe stores. Just saying. The Broadway area has a laid back vibe, and is home to a variety of shops, restaurants, cafes and bars. With 150 independent merchants, you're bound to find something unique. We recommend stopping by Handmade House, a Saskatchewan-owned and operated artisans' cooperative, to find works of art that are truly representative of Saskatchewan. Over 130 stores and services. Location: Saskatoon - Spadina Crescent, near the Mendel Art Gallery and Shakespeare on the Saskatchewan. Shearwater Tours runs daily, one hour river cruises that include commentary about the city and its history. Sunday brunch cruises and Friday evening dinner cruises are also available. The Diefenbaker Centre offers free walking tours of campus that highlight the University's history, achievements, and unique architecture. Tours depart from the flag pole outside the Diefenbaker Canada Centre every Wednesday and Sunday at 1 PM, throughout the summer. Registration Deadline is July 2, 2013! If you are U of S faculty/staff call 306.966.5539 to register if using a CFOAPAL. Single day registration does not include the opening reception or banquet. These tickets can be purchased separately at the time of registration. Find descriptions of the preconference workshops, the conference banquet and opening reception, and the full program elsewhere on the EBLIP7 website. Book your accommodations online here on the website. The on-campus accommodation booking begins on March 18. We are looking motivated, energetic individuals who want to get involved and help make the 2013 EBLIP7 conference a success. If you would like to volunteer, email eblip7@library.usask.ca. Thank you for your support!